Copenhagen will host the MPI European Meetings & Events Conference (EMEC) 2016, with the Radisson Blu Scandinavia Hotel named as the venue. In the closing session at MPI EMEC 2015 in Krakow, Poland, MPI announced that Copenhagen will be the host city for next year's conference, with the Radisson Blu Scandinavia Hotel set to host the event in its entirety. The conference will take place from 7-9 February 2016. For the first time, every MPI EMEC delegate will be staying in the same venue while the conference takes place in the hotel's event facilities. In addition, the conference will take place alongside two additional events that will focus on sustainability and meeting innovation. 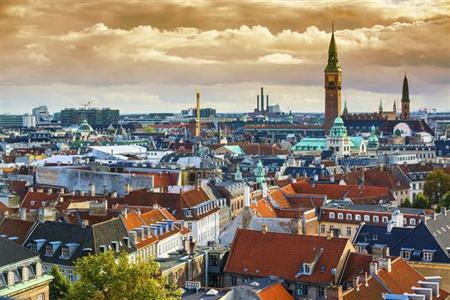 As part of an exclusive interview, MPI president and CEO Paul van Deventer told C&IT : "We are going to Copenhagen, which is a return destination for us. It is a destination where we have had some of our highest attendee numbers at. We’re doing something new next year by locating everything within a single hotel property. "We will also be co-locating with two other events, one being around innovative meetings and the other on sustainability. So with the three of us coming together, all bringing in different delegates, it will enable them to take advantage of the different curriculums and it will be fantastic." MPI EMEC 2016 will see Positive Impact managing director Fiona Pelham become chairwoman of the association's international board, the first time a British member of the association will take on the role. Last year, C&IT caught up with Fiona Pelham to find out about the new role and what her future plans are for MPI.